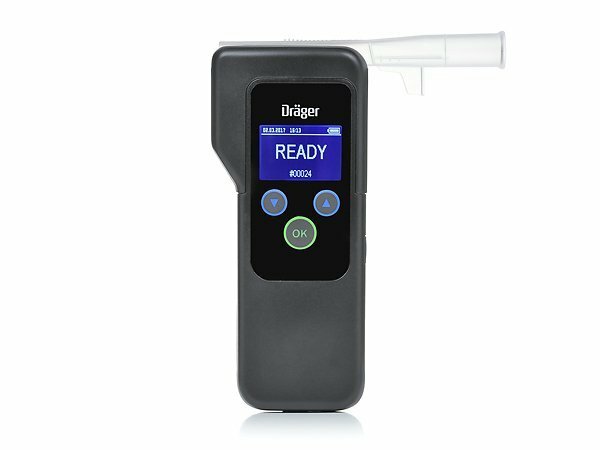 The Dräger 5820 evidential breathalyzer allows company employees to perform a breath alcohol test efficiently and accurately. 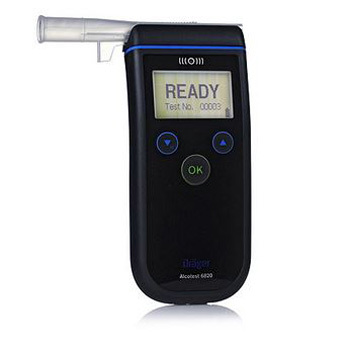 This breathalyzer is ready to use within seconds, meaning you can perform an evidential test on a subject at any time, including post incident. 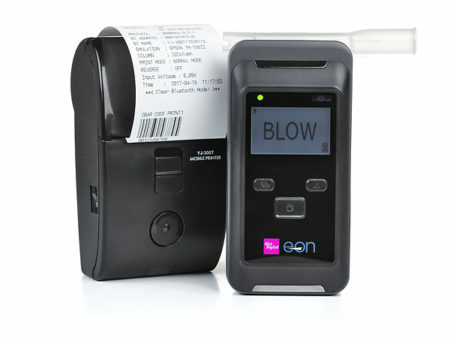 It is also possible to measure alcohol in the ambient air also known as a passive test. This passive test does not require any mouthpiece. The design is a simple three button operation. The clear green button is the only one required to perform a test. The menu and navigation buttons allow you to view previous tests, calibration dates and more. 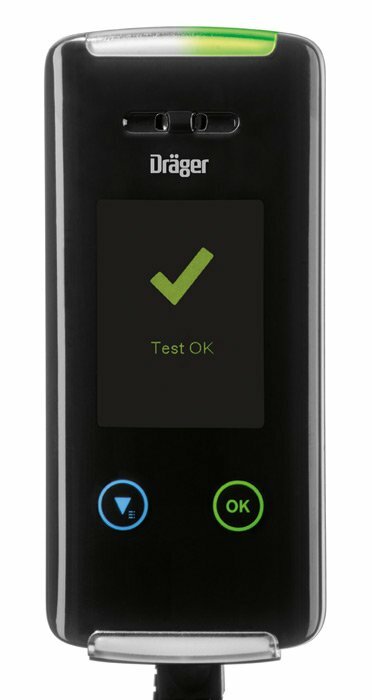 The tried and tested electro-chemical Dräger sensor in the Alcotest 5820 is distinguished by its very fast response times and a long service life. It operates with extreme precision and reliability. The analysis is reliable even at temperatures of -5 to +50 °C / 23 to 122 °F. An above screen LED and audible signal indicate the end of a testing process with a clear and accurate result. 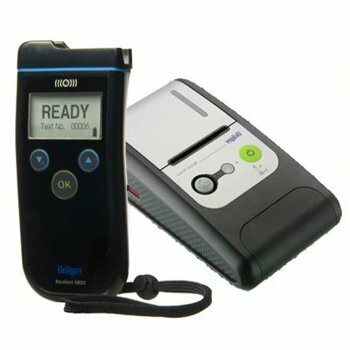 Use of the evidential device is an important aspect for simplifying the procedure of following through your company alcohol policy. The sophisticated product design meets the requirements for performing the breath alcohol test quickly, easily and hygienically: The shape of the Slide‘n‘click mouthpiece allows you to intuitively fit it correctly, even in the dark. The breathalyzer is ready in seconds for another test and with the easy exchange of mouthpieces, you can also be ready with the next employee.